Home/Tutorials/How to import several product images from one row? So you are in this situation when you have to import several product images, but you hate to copy rows? Here’s how you import several images per Product as one row – by separating image URLs with ; (semicolon). 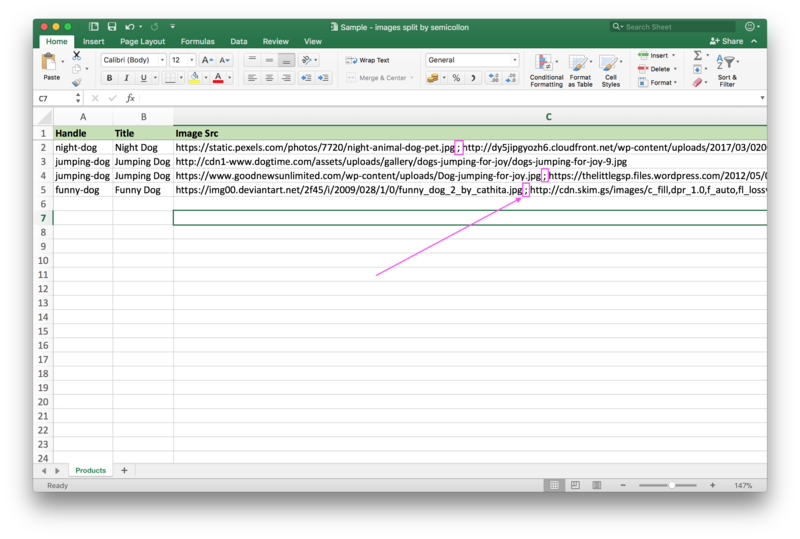 Prepare your import file, where you have one row per Product, and put all your images in the same “Image Src” column, delimited by ; (semicolon). 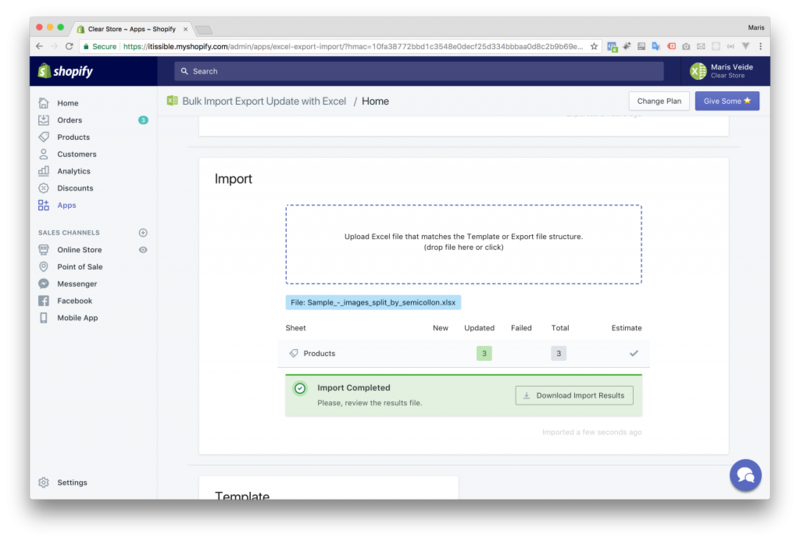 Import that with Bulk Import Export Update with Excel app. You can have up to 250 images per Product. 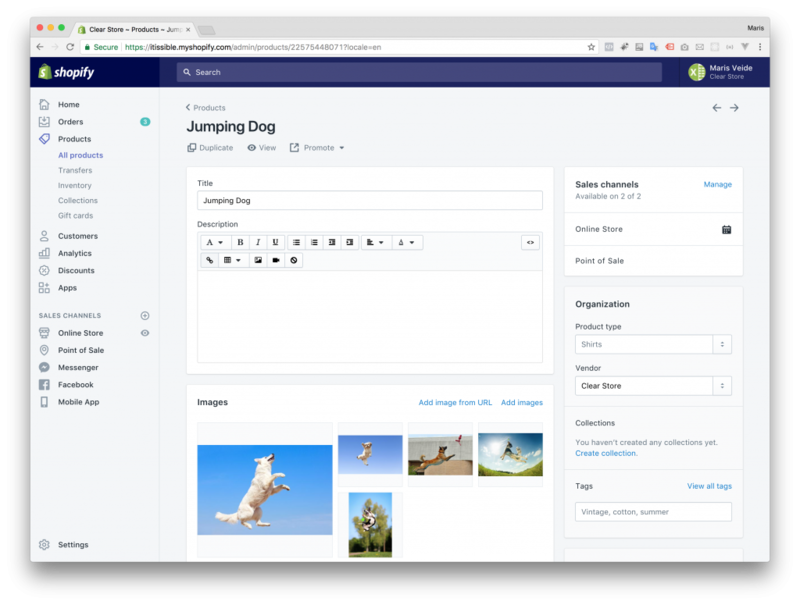 You can add, replace and update images for products the same way. You can combine both image import methods – have them as several rows, and split by ; (semicolon) in the same cell. 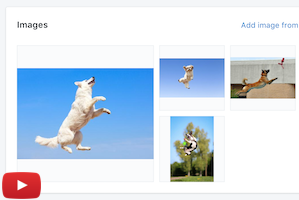 As visible in the example image with Product “Jumping Dog”. Remember to give name for sheet “Products”, so that it knows which sheet contains Products import. You can update many Product fields at once with the same import file – just put them as additional columns. If you want to know more about this app, look the How it works? tutorial and video. Comments Off on How to import several product images from one row?